Leupold 173882 LTO Quest HD Thermal Viewer FREE SHIPPING! The Leupold Thermal Optic Quest HD is a powerful handheld thermal device, a camera, and a dual-mode, 300 lumen flashlight. With it, you can detect heat signatures out to 750 yards, which can make all the difference in scouting or tracking downed game. The LTO-Quest HD also gives you room to take and store even more photos from the field. 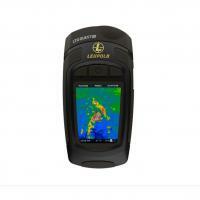 ©2002-2019 CopsPlus.com: Leupold 173882 LTO Quest HD Thermal Viewer FREE SHIPPING!